These websites may be of interest to both patients and medical professionals. Comprehensive information for patients on common conditions and illnesses. Practical tips to help you lead a healthy lifestyle! An educational resource for those interested in sport & exercise medicine (SEM). The fight against anti-doping in sport! 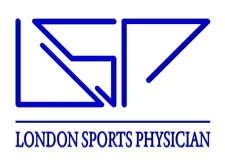 ISEH is a partnership between the British Olympic Association, the English Institute of Sport, HCA International, UCL and University College London Hospitals NHS Foundation Trust. It is one of 3 locations in the UK forming the National Centre for Sport and Exercise Medicine (NCSEM), a major legacy project of the 2012 London Olympic Games.